Sight glasses allow quick and easy visual inspections of your process. Engineers have access information on flow, blocked flow, steam and vapour leaks or just to inspect the colour of a product throughout the process. Pressure Products Company's sight glass windows allow processes within industrial pipes, tanks, and vessels to be observed visually. The majority of our units are Factory Mutual approved, and custom safety sight glasses can be designed to meet your exact specifications. Pressure Products Company's line of DuraPort fused sight glass windows offers the superior performance, safety, and longevity your facility requires. With our DuraPort sight glasses, the outer metal ring imposes an enormous static compression on the glass--thus, any tensile load imposed on the unit in service merely serves to relieve some of the pre-loaded compression. PPC's DuraPort sight glasses also feature fracture containment, thermal shock resistance, and true Type 1 borosilicate glass. 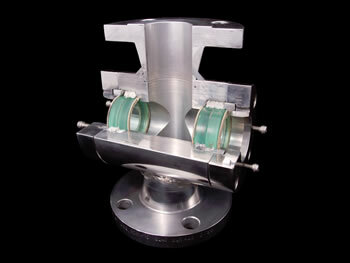 Pressure Products Company offers an extensive array of sanitary fittings and sight glasses with sanitary connections. 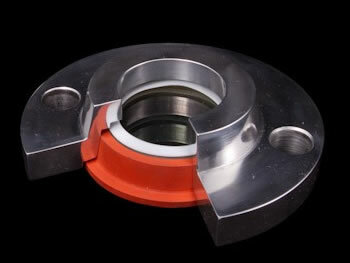 Sanitary/tri-clamp connections reduce the likelihood of bacterial contamination for food and drug industry processes, and are valued in other industries for their convenience. 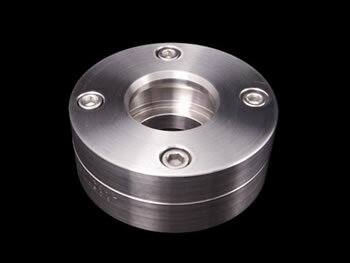 General sanitary fittings and components are offered in 304 and 316 stainless steel. Sanitary sight glasses, sanitary flow indicators, and other custom items with sanitary connections are usually made of 300 series stainless steel. Other materials are available by request. Pressure Products Company's sight flow indicators are used in piping to provide 360-degree observation of material flow through a line. A typical configuration consists of two circular sight glasses positioned perpendicular to the direction of the flow and opposed to one another. 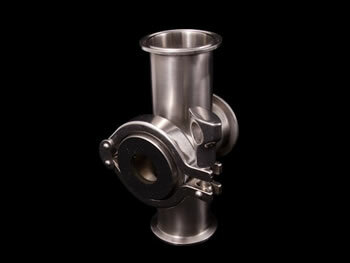 Our sight flow indicators reflect the advantages of our sight glass designs, namely the ease of sealing, maintenance, and availability in higher pressure/temperature combinations in larger sizes than any other manufacturer offers in the industry. Since fluid flow is always driven by pressure, ease and robustness of sealing is even more important than in plain sight-window applications. PPC's unique radial sealing of the glass decouples the sealing stresses from the process pressure, and enables higher sealing stresses to be applied without endangering the glass--which in turn enables higher pressures to be held.